Fort Collins may be better known for its outdoor-loving, high VO2 max athletes, but there also is a creative vibe that permeates the city. 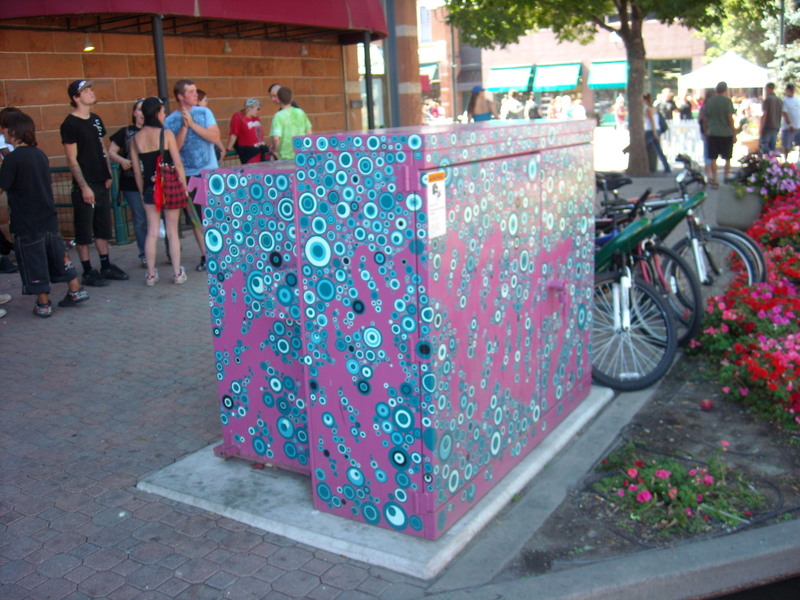 It manifests itself on the pastel-colored, polka-dotted utility boxes, murals of encouragement along the Mason Trail and within the two dozen art galleries within walking distance in Old Town. I haven’t even described the bustling music scene yet. But as with any city, there are plenty of folks who can’t wield a paintbrush better than a hamster or belch out a tune more harmoniously than Roseanne Barr. No matter. There are other ways to channel one’s creative juices. For example, mailboxes. 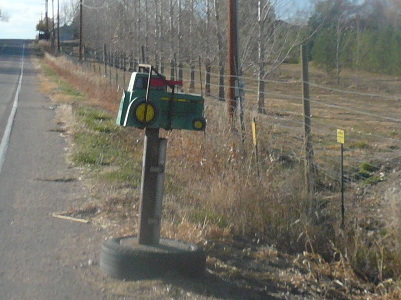 For some reason, north Fort Collins seems to have a disproportionate number of interesting takes on the plebeian 7.5″ x 9.5″ x 20.5″ rural mailbox. Aside from pronouncing the owners’ particular passions, perhaps they were specifically designed to take the edge off the gloomy feeling one gets when going out to fetch a week’s worth of bills, junk mail, and mud-splattering political advertising. In any case, they bring a smile to my face when I whirl by them on bicycle. 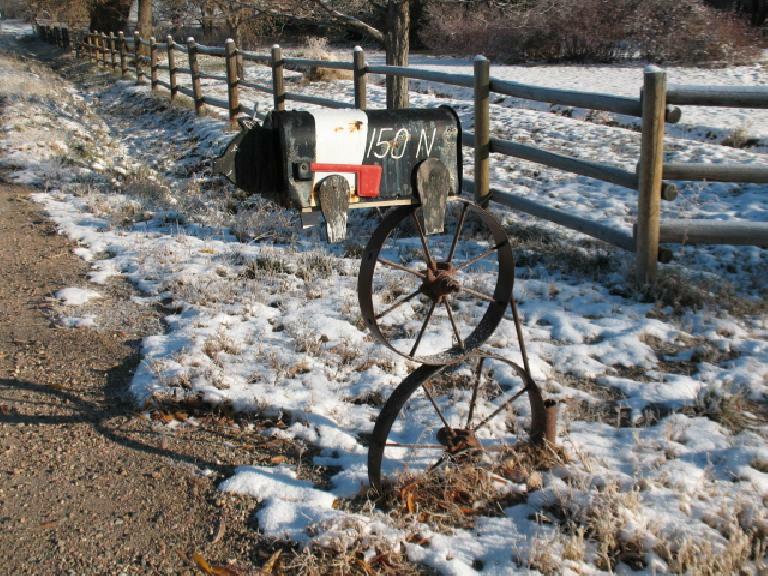 I still think this mailbox is the coolest one, though! 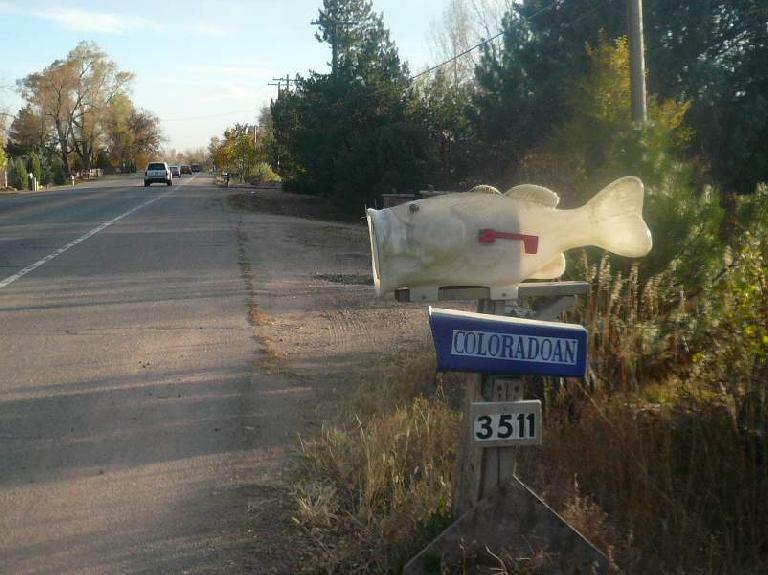 Too bad I don’t have a mailbox I can personalize. Living in a contemporary community with HOA, my mailbox is a small cubbyhole with door and lock that’s grouped anonymously among my neighbors’ in one central location. But if I did have one, I probably would spend my creative energy in outfitting it with some sort of bicycle theme. Beats trying to crow like Roseanne Barr on karaoke night. Here’s one from my friend Ann. It’s a Hampshire pig mailbox. It’s probably safe to say she has the only one in Windsor, CO! Come visit me! I have a Hampshire pig mailbox (who needs a paint job – winter and snow plows really take a tool). 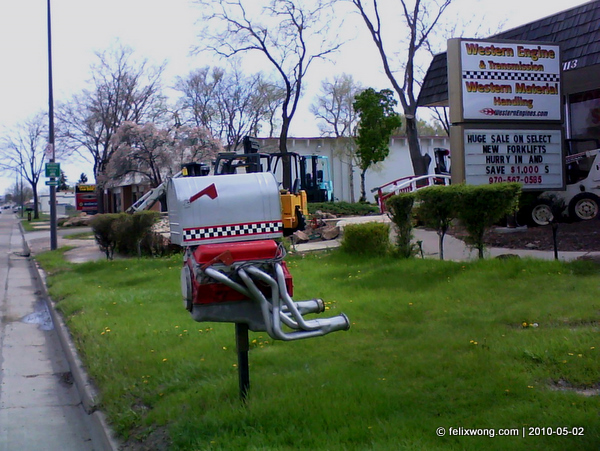 And about a mile away a neighbor has an autoclave for a mailbox (it’s also his vet clinic).